Within a merchant account on ShareASale, users are given several paid program boost opportunities to give their brand added exposure on the network. 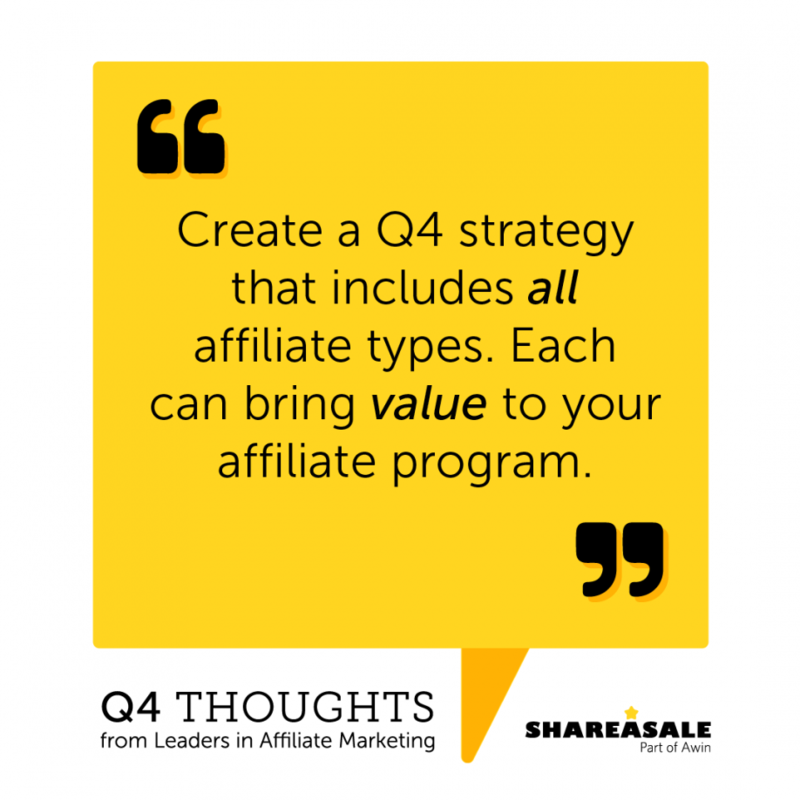 These options are especially important and desirable during Q4 – unquestionably the busiest (and most exciting) time for affiliate marketing. 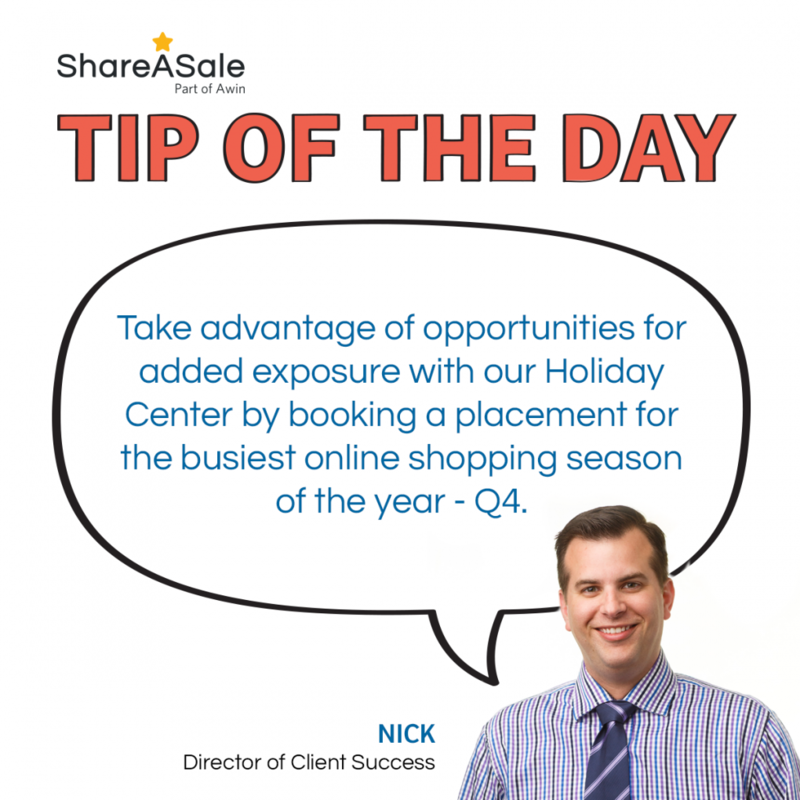 The importance of the quarter is because Q4 encompasses the biggest online shopping holidays of the entire year, which also makes it the perfect time to book a Holiday Placement feature for your account. 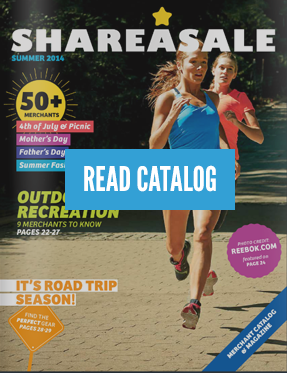 Affiliates, recognizing the increase of online shopping during the holidays, often look to the ShareASale Holiday Central for ideas and inspiration leading up to and during the season. Merchants are able to use this area in the interface to promote their brand or specific products, which might fit within specific holidays, maximizing the potential that an affiliate will find and be interested in their program. Merchants who schedule one of these placements are able to upload a specific creative for each holiday category that their choice, joining as many as they wish. When searching the holiday center, affiliates are shown approximately 2-3 months prior to the occurrence of the holiday and through the holiday itself. When designing the creative, we recommend that brands create a specific description detailing exactly how their brand or product line align with an individual holiday, as that will increase affiliate recruitment conversion. These holiday placements fill up quickly, so be sure to book early! Go to your Program Boost page or contact our Merchant Development team to lock in your spot during Q4. As influencer marketing continues to become a cornerstone of any retailer’s digital marketing strategy, the concept of “pay to play” or gifting products or services is often seen as an effective way to activate these partners and inspire content around one’s product offering. 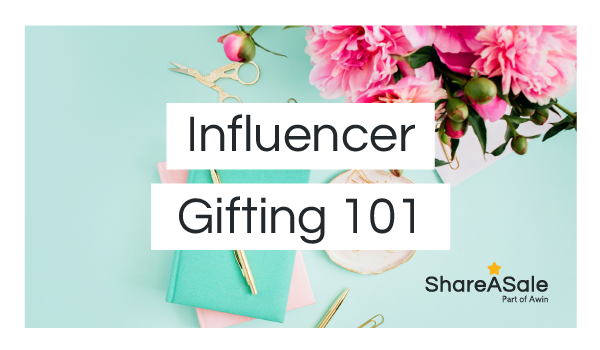 To better support your influencer strategy, we’re sharing our top tips and tricks for brands looking to improve their gifting efforts, as well as a case study of where this has been effective. 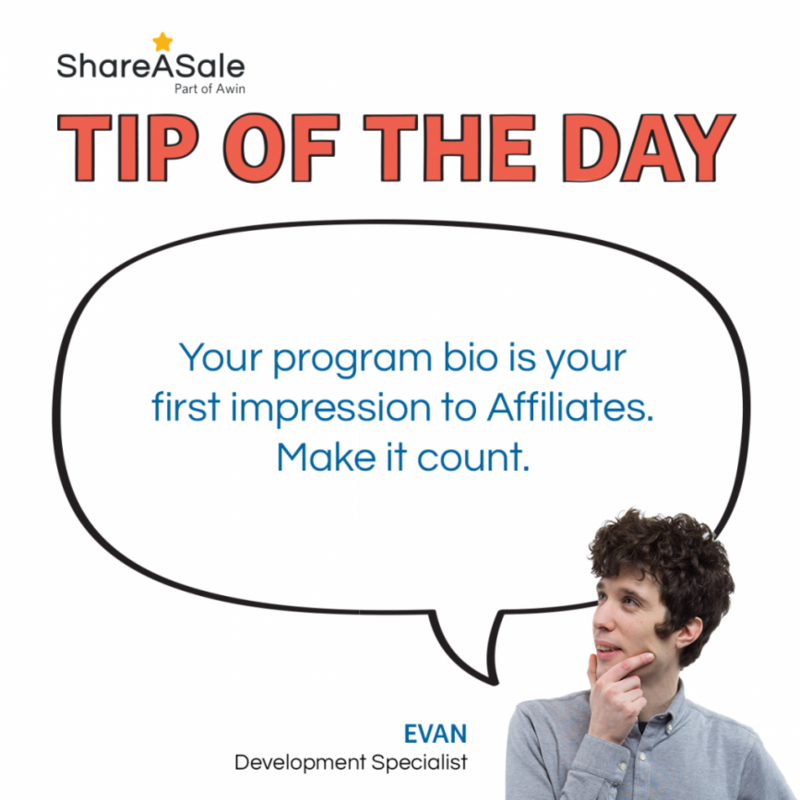 Merchants, as Affiliates search for new programs to join, your Program Bio is the first thing they see. Take advantage of this opportunity to entice new Affiliates to join your program. This is a great place to create a comprehensive snap shot about your brand and what your program offers. Don’t forget to include these must-have parts! Each type of affiliate can add value to your affiliate program, which means that it is important to provide creatives that cater to each – influencers, coupon and cashback sites, bloggers, etc. Make it easy for them to promote your products and your brand by helping them help you.